India has seen several heroes since historical times who have fought against the system, dealt with oppression and injustice and helped to usher in change for the better. A lion’s share of these battles can be claimed by women who have exhibited exemplary courage to protect what they thought was just and righteous notwithstanding the many obstacles that came their way. From Kittur Rani Chennamma, Chand Bibi to the modern times Neerja Bhanot and others each one has fought against all odds and emerged a winner. Following is a brief about five such brave women of today’s times who tried to change the system for the better and achieved success in their efforts. Neerja Bhanot – Personification of Selflessness! A Pan Am airlines flight purser, Neerja Bhanot is the first woman to have received the esteemed Ashoka Chakra Award, the highest gallantry award for heroism in the country, posthumously. She single handedly helped in the rescue of hundreds of lives aboard a hijacked Pan Am flight at Karachi Airport on the 5th September 1986. She was later shot by the terrorists for her act. She received many more awards from other countries for her very brave act. Laxmi Agarwal – Nothing Can Stop Her! An acid attack survivor, Laxmi Agarwal is a living example of a woman of immense strength who refused to be cowed down in the face of such a horrific incident in her life. Scarred forever at the age of 15 for refusing the advances of a man twice her age, she was struck with acid which affected her face brutally. 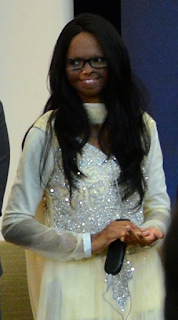 Without getting intimidated she went on to become a campaigner and an activist for all such acid attack survivors. 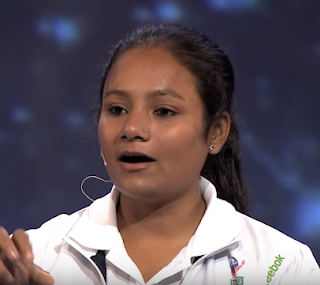 Arunima Sinha – Fighting all Odds Single Legged! A volleyball player at the national level, Arunima Sinha had to forgo one leg below her knee due to damage done because of being shoved out of a running train by thieves. Amputation of one leg from the knee downwards did not however, dampen her spirits. She became the first women in the world to climb Mount Everest with one leg amputated. She went on to climb all the renowned peaks from other continents as well. Jyoti Singh – Paved Way for others, paid with her life! Better known as Nirbhaya, which was the name given to her by the media, Jyoti Singh set an example for every woman to follow in the face of extreme adversity. She went down fighting against injuries caused to her as she was tortured and gang-raped in the capital city of the country. The openness of her family in revealing her name and the fighter spirit of Nirbhaya impacted the entire country in a huge way. It helped to bring improvements in the legal system with regard to such crimes besides changing the people’s outlook towards the same. Mary Kom – Nothing can Stop her! Mary Kom, the pride of India and world renowned boxer has worked hard to reach the top. Not bowing out of the game after marriage and kids and instead coming back on the boxing scene with a bang after extremely vigorous training is not everyone’s cup of tea. Yet, with her husband’s support she went on to win silver at the 2008 Asian Women’s Boxing and a bronze at the Olympics in London, 2012. Without resting on her laurels she is still consistently following her training. The above five women personalities showcase the indomitable ‘never say die’ attitude of Indian women. Jhansi Rani is considered personification and epitome of bravery, but these women are nothing less than her. They have written new ways of fighting odds and become inspiration to many forever.